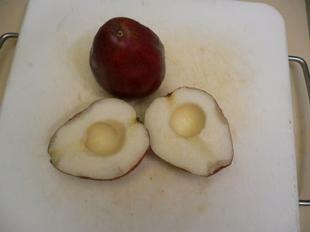 Cut pear in half; Remove seeds and stem. Place pear on a lightly oiled, foil covered pan. Place into hot oven and bake for 20 minutes. Remove and serve or cool and place in fridge. 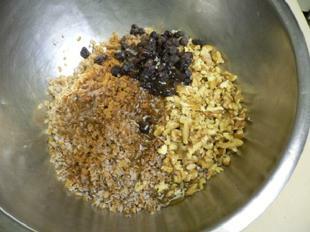 Place bulgur, cinnamon, raisins, honey and nuts into a mixing bowl. 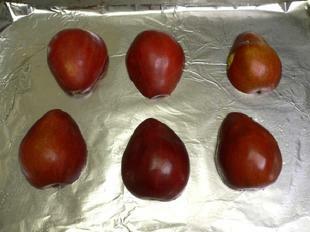 Serve with roasted pear or any other fruit garnish that you like. 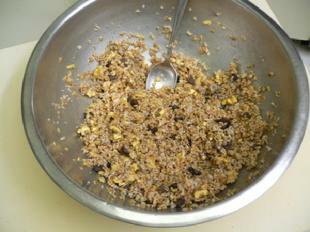 This dish makes for a great breakfast, dessert or snack. It is light, sweet and chewy all at the same time. 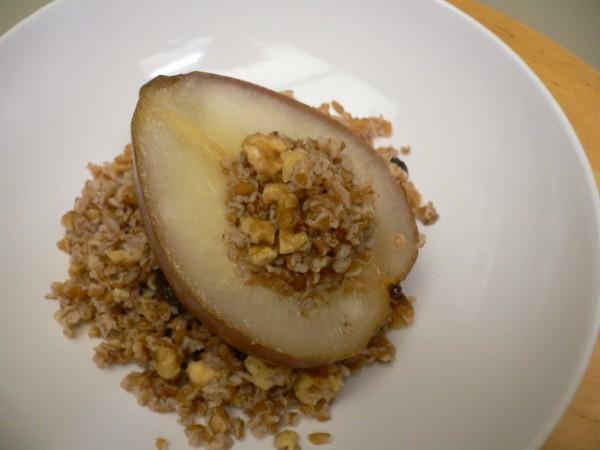 You can eat the pears hot or cold thus having the option to make the recipe in the evening and having it for dessert and also ready for breakfast the next day.